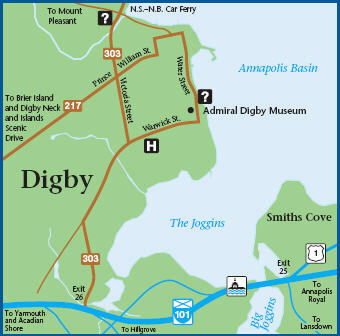 Digby provides excellent development opportunities in business. The Town and surrounding communities welcome and foster entrepreneurship and new businesses every day. There are many significant opportunities in the area with unlimited growth potential. Let us help get you started! Prospective developers are encouraged to contact Town Hall at admin@annapolisroyal.com to obtain information on starting or relocating a business in Digby. ​The Awesome Foundation is a global community advancing the interest of awesome in the universe, $1000 at a time. Provincial assistance for businesses is available through NSBI. They help businesses across the province grow exports, and work with innovative, globally competitive companies that are looking to make Nova Scotia their business solution. For more information visit www.acoa-apeca.gc.ca or phone 1-800-565-1228.